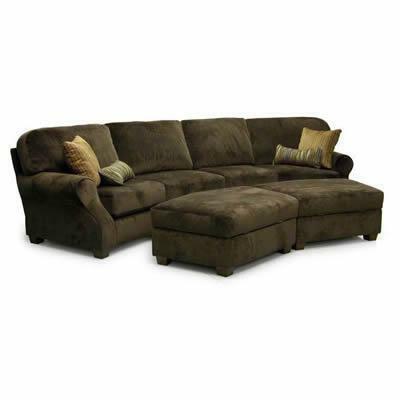 This transitional conversation sofa is a two piece unit that attaches with heavy-duty, industrial Velcro. The four seat sofa group can be complemented with the two matching storage ottomans. Built from a durable hardwood frame where the joints are doweled, screwed and glued providing a sturdy, long-lasting construction. The soft, yet sturdy, seat cushions are a soft-cushion wrapped over a high-density polyurethane foam core.